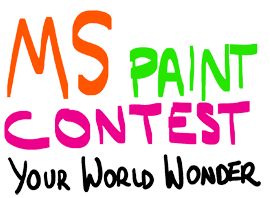 Liked vpetmad’s post in the thread Tribal World Wonders – MS Paint contest. Replied to the thread Efficient starting guide (COM). 1) What level do you take the granary up to? Given the focus on crop production I imagine it needs to be quite high? Wrote a comment on ignacio013_CL’s wall. Replied to the thread com Path to Pandora X2 Rumors. Are you? Didn't know I had another dual. Replied to the thread Tribal World Wonders – MS Paint contest. Replied to a comment by OPRINCHNIKI on GM_Kalasnikov’s wall. Wrote a comment on Vegetto’s wall. vegeto weyyyyyyyy q haaces tio!! Wrote a comment on GM_Kalasnikov’s wall. vuelve PR al proximo speed? Liked eatie’s post in the thread Com1 Restart Rumors. Liked sarcy’s post in the thread What's in your name?. That is lovely to hear about Matt. He built a brilliant Wonder support account on that Wild server and was an amazing Wonder sitter. It was pure joy to work in that Wonder team. Replied to the thread What's in your name?. My nickname is after my cat's name. Somehow I tend to choose the nickname same or derived from my pets name. And I named my cat Shanti because I like the word. It's Indian word meaning 'calmness'. And no, I'm not Indian (I got that question a lot). Liked Papaya87’s post in the thread [COM] Fact and Rumours tx3 - Round ? (February 2019 - ). Replied to the thread Game Continent Tug Of War. Liked MrSimplyD’s post in the thread Tribal World Wonders – MS Paint contest. Replied to the thread [COM] Fact and Rumours tx3 - Round ? (February 2019 - ).